Teacher of the month is back for a 3rd year in a row! 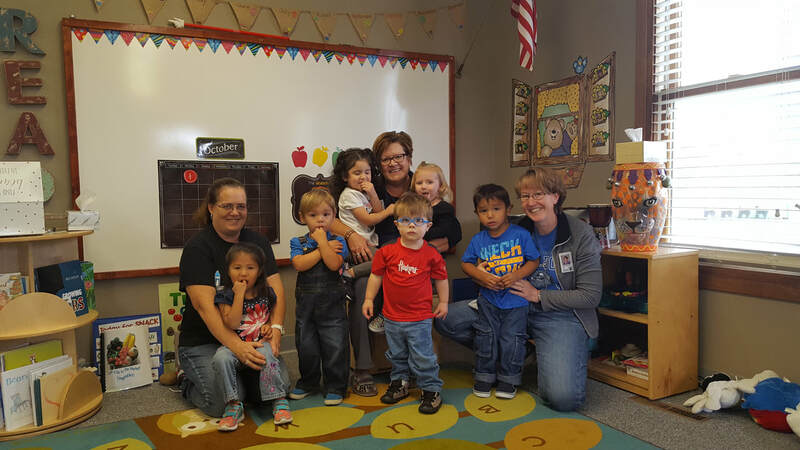 We headed out to the Alliance Kiddie Campus to celebrate Shawna Rischling as an outstanding teacher! It was fun to go to yet another school, a school we haven’t been to yet to celebrate an amazing teacher. Shawna has been teaching for over 20 years and you can tell she loves her students. Something she said hit home with our Eagle Radio group, she remembers a middle school student mentioning how he feels comfortable at school and that’s what he enjoys doing. It’s going to school! That comment made an impact for us but, from the way she spoke about this story, it certainly made an impact for her as well. The students seemed very shy, however you can tell from the feel of the classroom and the welcoming atmosphere from Shawna along with her para’s who help educate the students they all love what they do and the students have a great environment to learn in!. It has been a privilege to have the opportunity to celebrate amazing teachers and we’re so excited to carry it on for a 3rd year. These teachers make such an impact on their students’ lives, they become confidants, friends, support systems, like family to some of these students and it becomes more than just a job to the teachers. We are very lucky to be able to honor great teachers, this is what keeps our communities connected and we can’t thank our local business sponsors enough for their support. Without the support of them, we wouldn’t be able to have this great program! If you have an amazing teacher or faculty member you want to recognize in our listening area, please submit a nomination via panhandle post under the contest tab, click teacher of the month. Thank you again to our wonderful sponsors, we’ll look forward to celebrating an awesome teacher next week in the Chadron area for September, the date has been set and we’re preparing our items for this great teacher.